A gastroenterologist watching the monitors during an ERCP. An endoscopic ultrasound probe is used to map the blood vessels. 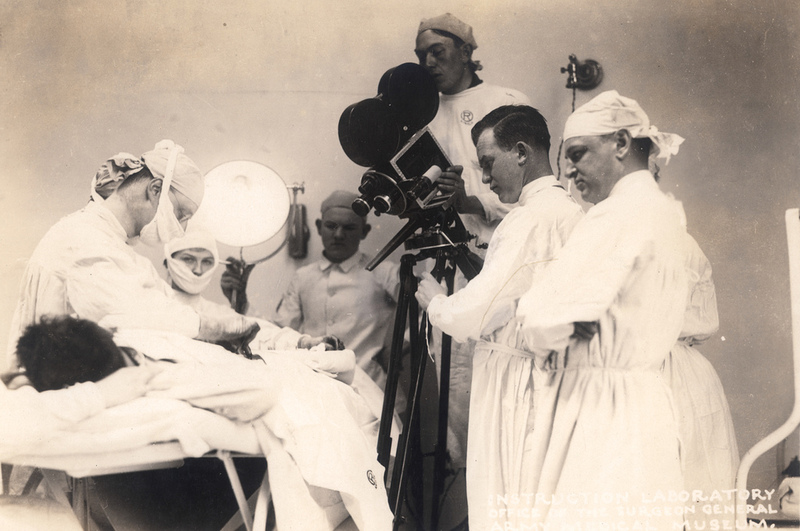 Operation for hernia, Walter Reed Hospital, showing motion picture camera in action, 1918. (Creative Commons). The National Museum of Health and Medicine (run by the US Army) are making a selection of their vast archive of military medical photos available on Flickr. Almost 800 photos are currenly uploaded, all with a Creative Commons License. “You pay taxes. These are your pictures,” Rhode said. “You should be able to see them”. Also check out the museum’s unofficial blog A Repository for Bottled Monsters. The hypophysis cerebri in position. Shown in sagittal section. Click to enlarge. Welcome to edition 219 of SurgeXperiences, the one and only blog carnival dedicated to surgery! I suggested “anatomy” as the theme for this edition, and anatomy you’ll get. Gray’s Anatomy. You are currently viewing the archives for March, 2009 at The Sterile Eye.